Time is a precious commodity and we know you want to make the most of those vacation days. A trip to Reno Tahoe puts everything you could want – good food, arts and culture, outdoor adventures galore – at your fingertips. 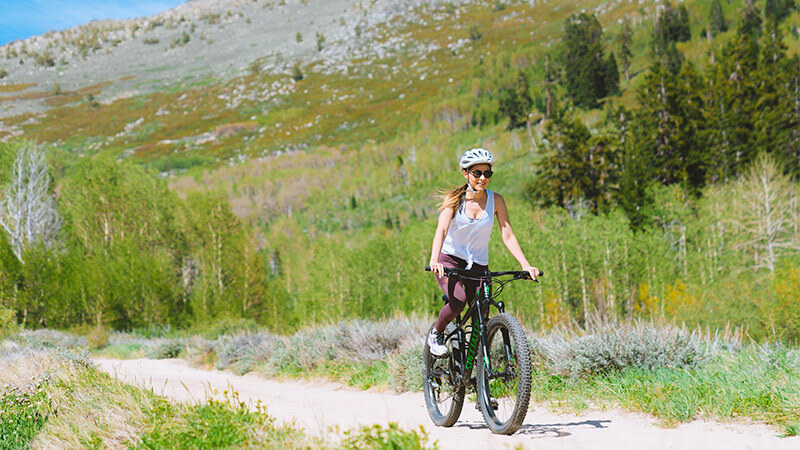 Grab a bike and cruise through Reno for some urban flavor, then take the short drive to Lake Tahoe for some fresh air. 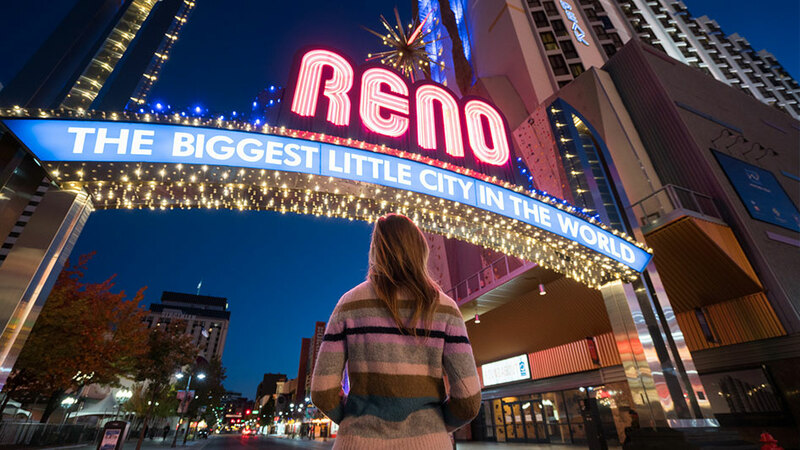 Travel writer, ReneeRoaming and travel photographer, The Sam Graves, spent a weekend taking in Reno Tahoe – seeing and doing everything an adventure-loving traveler would want on their must-do list. 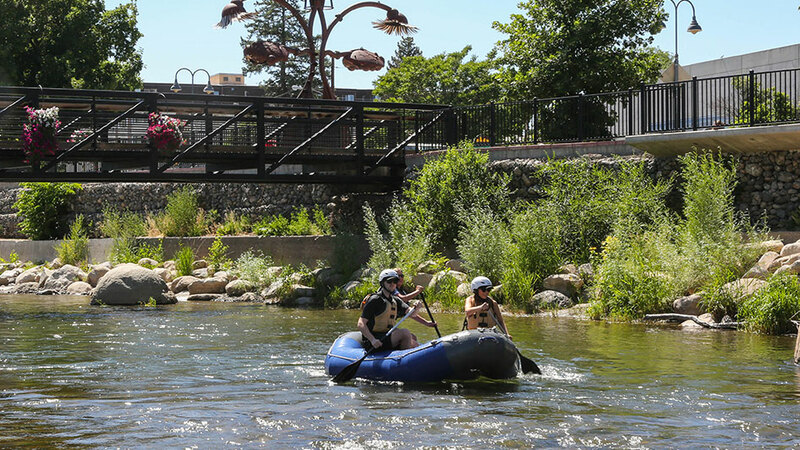 The Truckee River runs right through the heart of downtown Reno, connecting Lake Tahoe and Pyramid Lake. 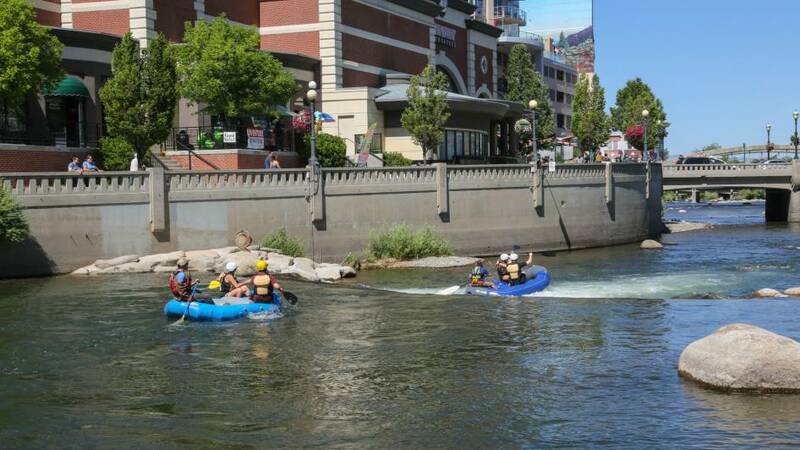 The river is a mix of slow-moving water, perfect for a laid-back float, as well as whitewater for a more exciting raft trip for you thrill-seekers. 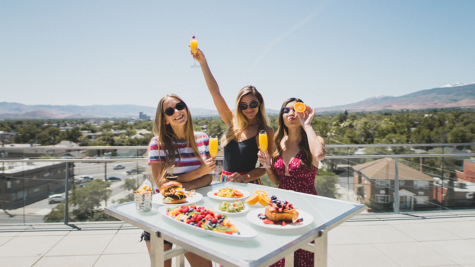 Take in the scenery of the beautiful Sierra Nevada mountains and end your trip in downtown Reno where you can refuel with food and drinks at one of the many restaurants located along the Reno Riverwalk. 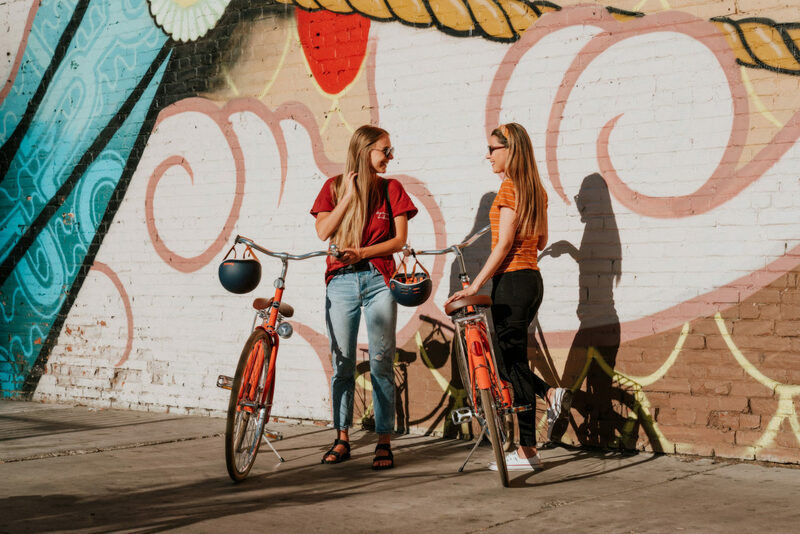 With bike lanes and bike paths throughout the city, exploring Reno on two wheels is a great way to get around quickly and avoid worrying about where to park. Check out the many pieces of public art located around the city, from murals to art installations from Burning Man. 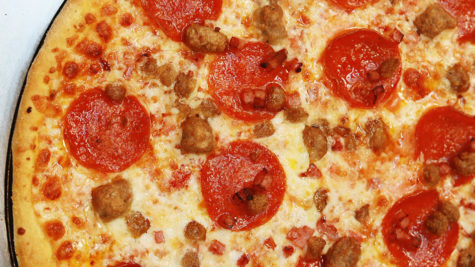 Once you’ve worked up an appetite, roll over to West Street Market for food and drinks. While there, make sure you get a photo in one their oversized, colorful Adirondack chairs. 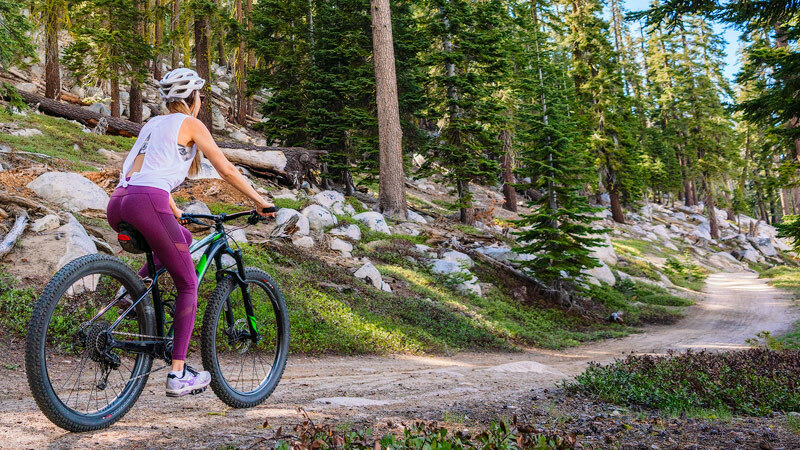 Mountain biking trails can be found all around Reno and Lake Tahoe, but the most photogenic is the Flume Trail, running between Spooner Lake and Sand Harbor. The trail begins in the pine trees and then opens up to breathtaking views of Lake Tahoe and beyond. If you can’t bring your own bike, rentals and shuttles are available from Tunnel Creek Cafe, taking riders and their bikes to the trailhead. 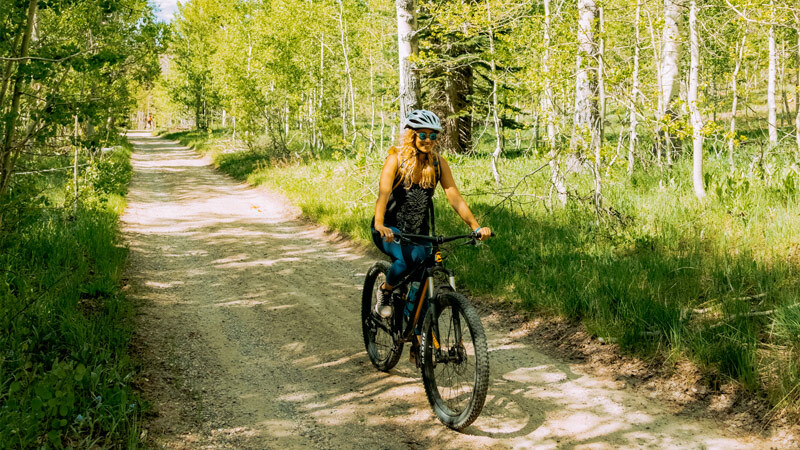 And if you prefer a more low-key ride, there are several other stunning trails to explore in and around Reno, meandering through the pines as well as miles of desert single-tracks. 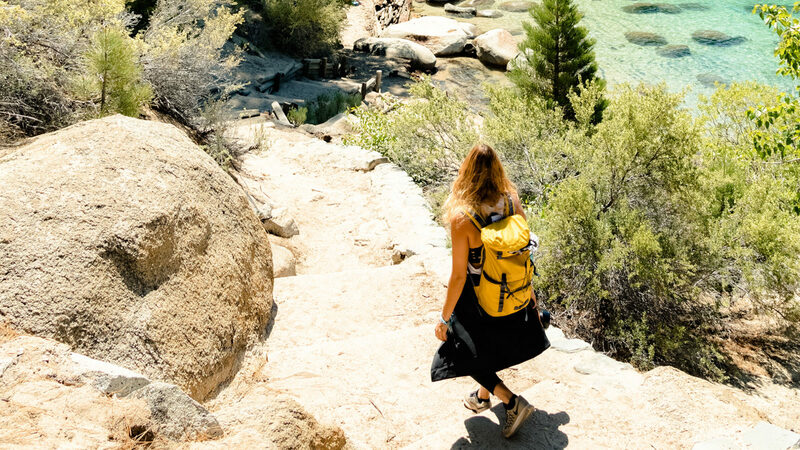 Gather your friends and find the perfect spot to put your toes in the sand along the shores of Lake Tahoe. 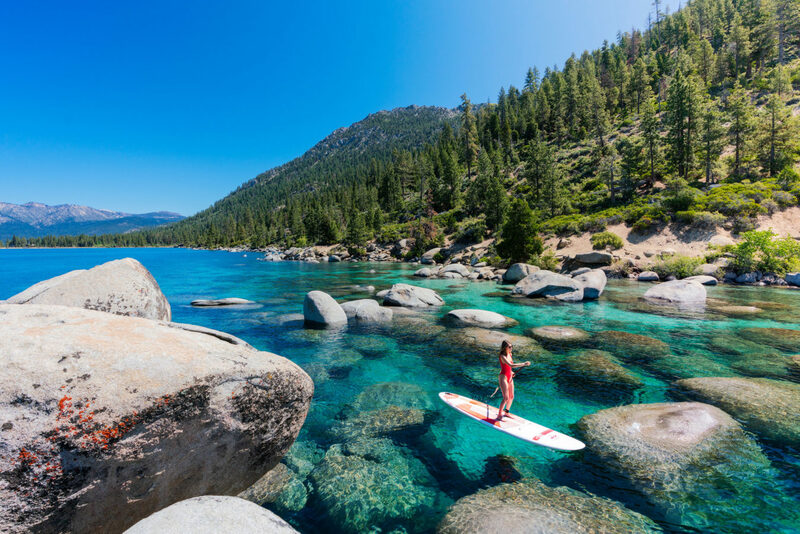 A short drive from downtown Reno will get you to any number of Lake Tahoe beaches, including Sand Harbor, Chimney Beach and Hidden Beach. Not only is the clear water of Tahoe ideal for cooling off on a hot summer afternoon, but the sunsets over the lake are second-to-none. Have you camera ready to catch the magic of “golden hour” and the sun setting behind the mountains. Since Reno is the closest city to Burning Man, the spirit of the annual event is evident throughout the city year-round. And while tickets to the event can be hard to come by, several Burning Man art installations reside permanently in downtown Reno at City Plaza and Playa Art Park for all to enjoy. 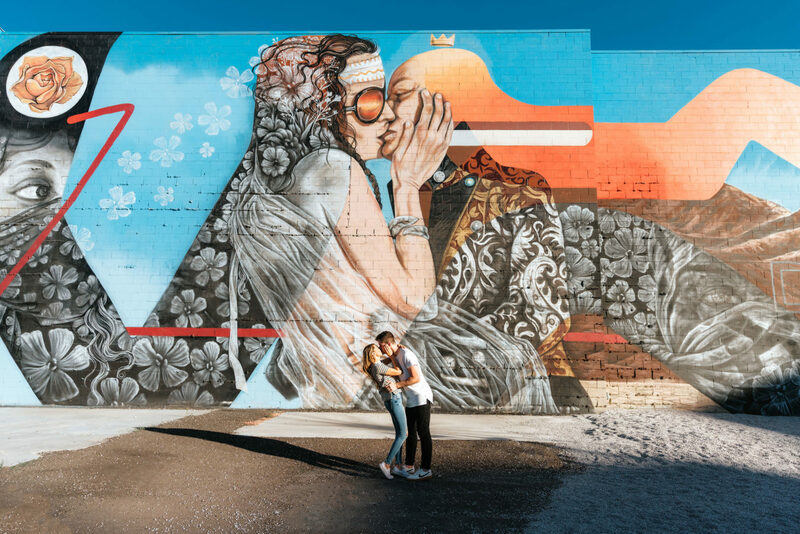 In addition to these pieces, you can find public art throughout Reno, whether it’s murals gracing the walls of buildings in downtown and Midtown or sculptures along the Truckee River. 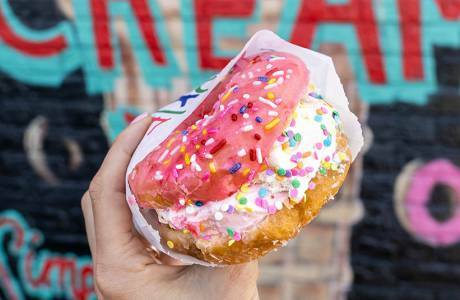 Reno’s coffee and culinary scene is growing like crazy so the hardest decision you might make is where to eat! 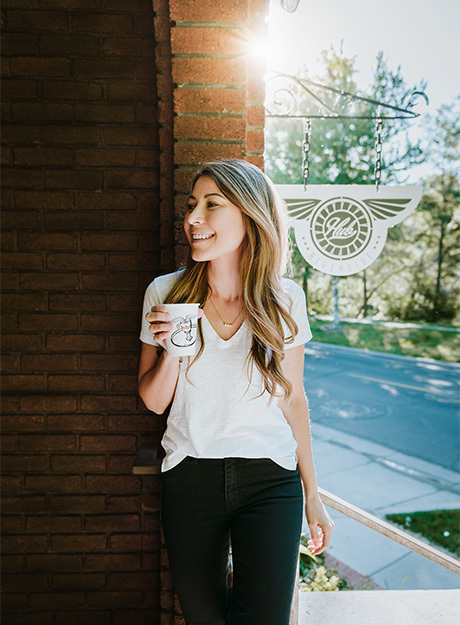 Coffee and tea lovers will be in heaven at Hub Coffee Roasters, serving locally-roasted coffee with views of the Truckee River out the window. 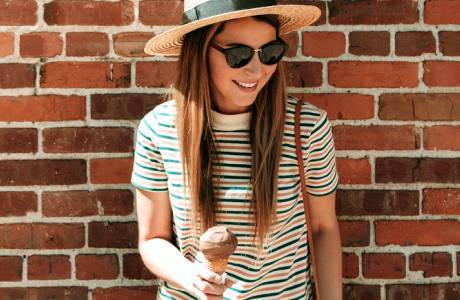 A favorite among those who crave healthier options is Great Full Gardens, whose menu offers high-quality local produce, and those that love an indulgence will definitely want to make a stop at Icecycle Creamery inside West Street Market (try the deep chocolate… trust us). Spend an afternoon or evening at The Eddy, where you can grab a beer from their rotating taps and play a game of bocce, corn hold or life-size Connect Four.